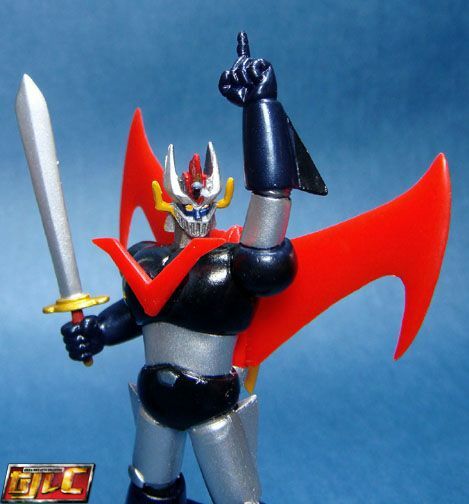 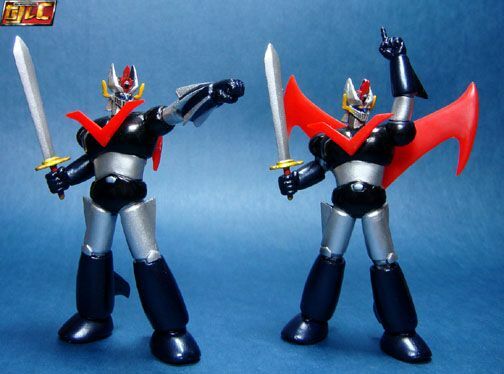 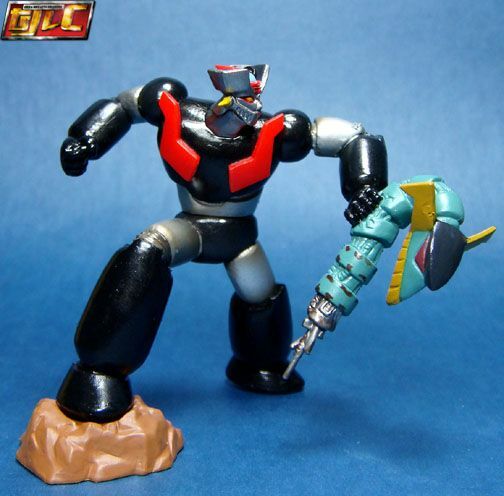 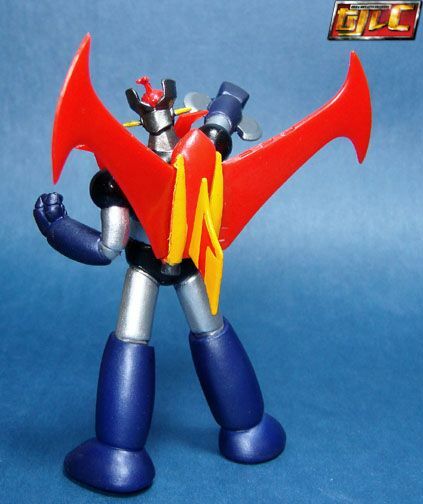 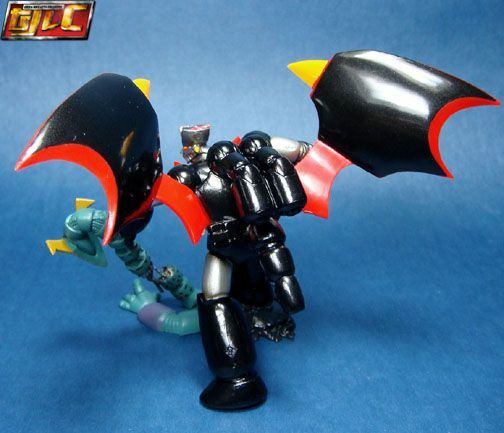 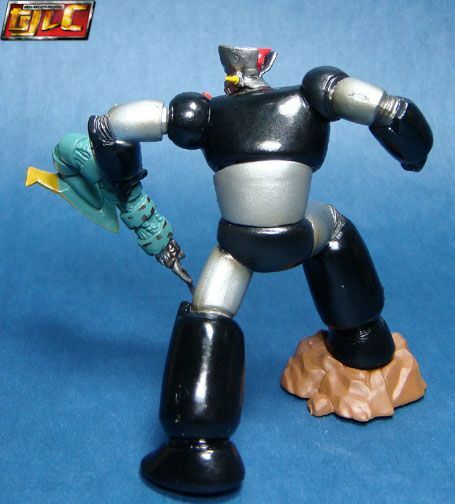 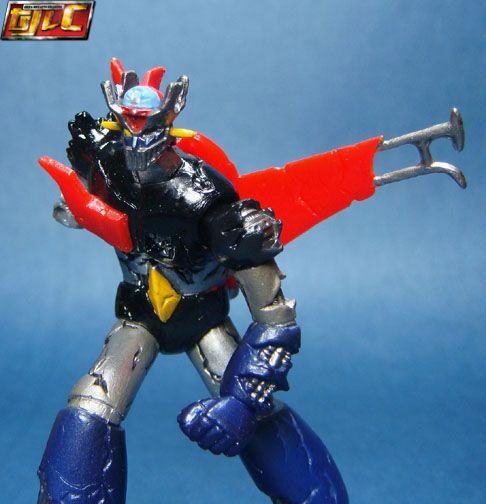 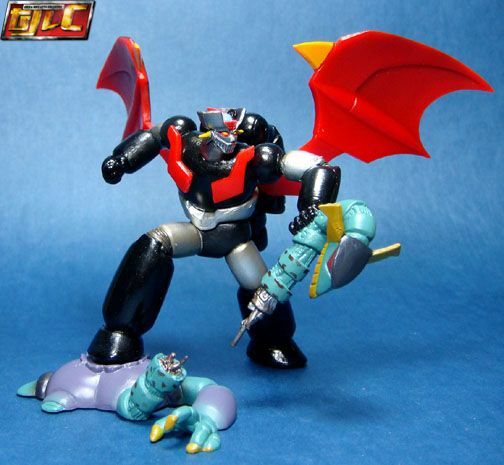 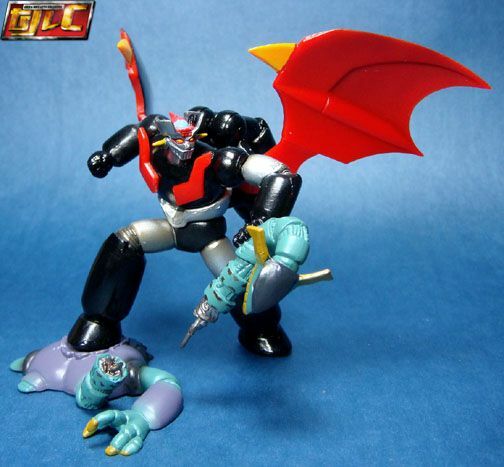 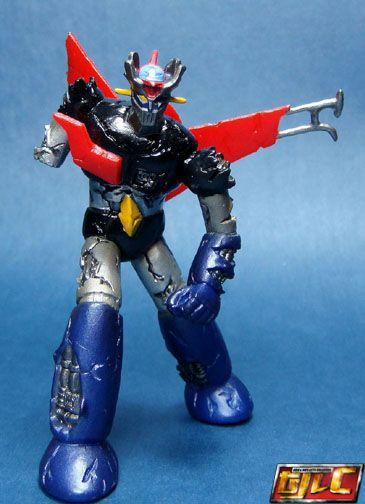 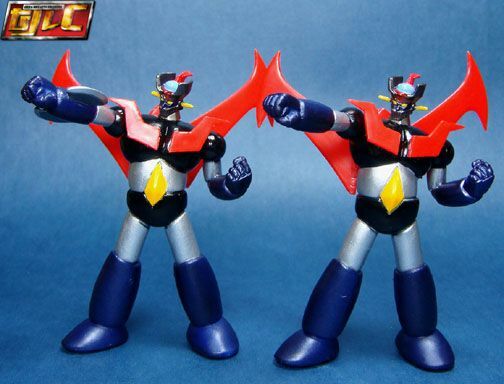 Shin Mazinger with Doublas head. 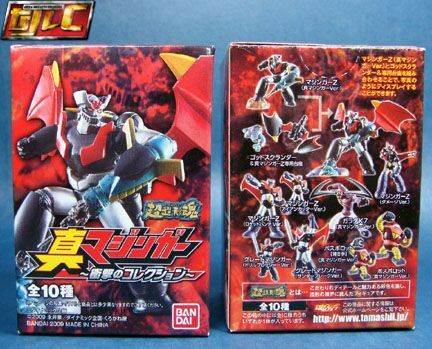 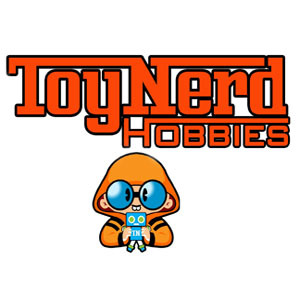 The 10th box has the parts to upgrade to God Scrander and comes with Doublas’ body. 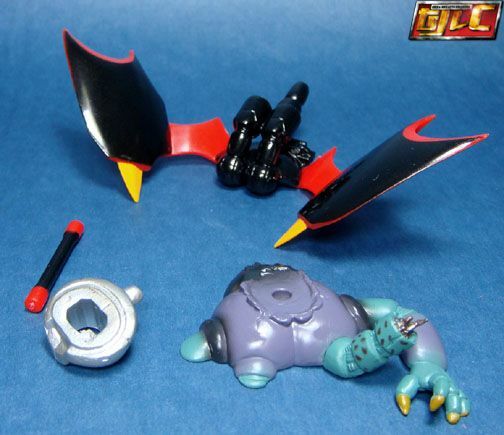 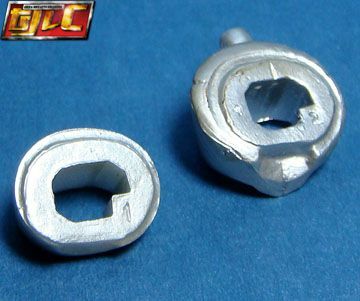 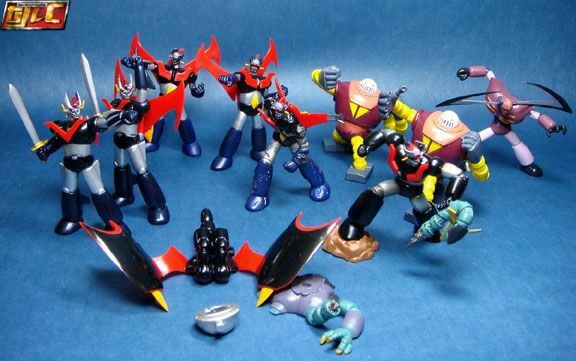 Different abdomen parts for Shin Mazinger. 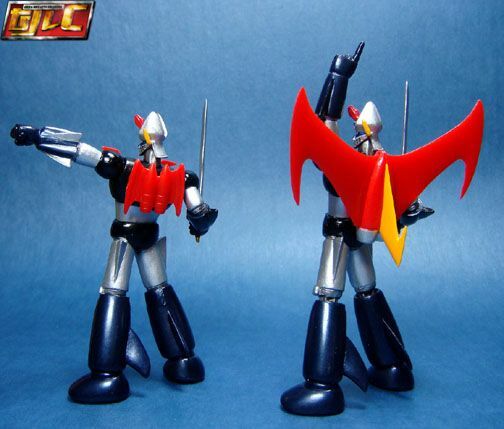 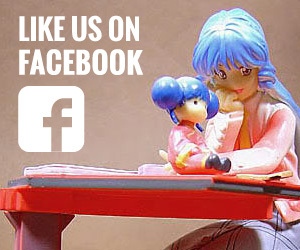 Overall I’m disappointed with this set, the figures are very small compared to the Best Posing Super Robot Trading figure line. 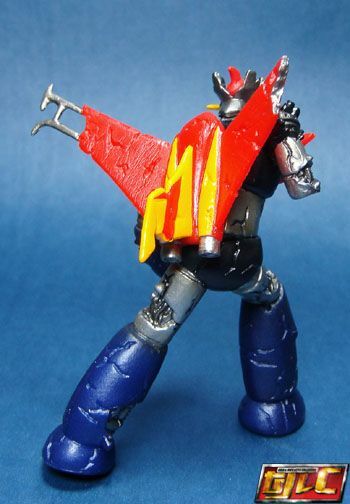 The paint quality has also gone downhill as well. 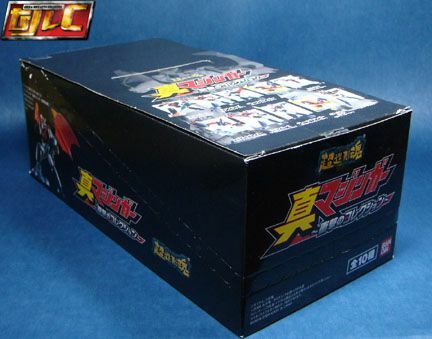 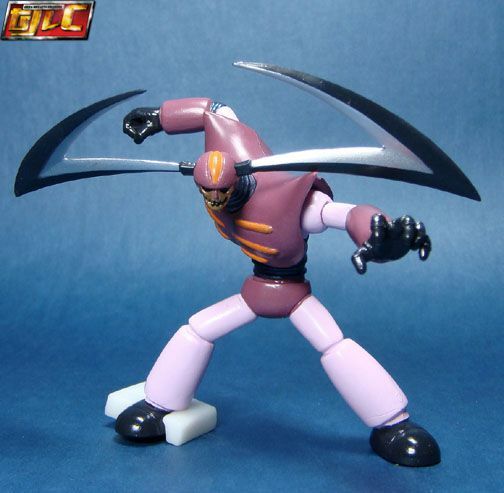 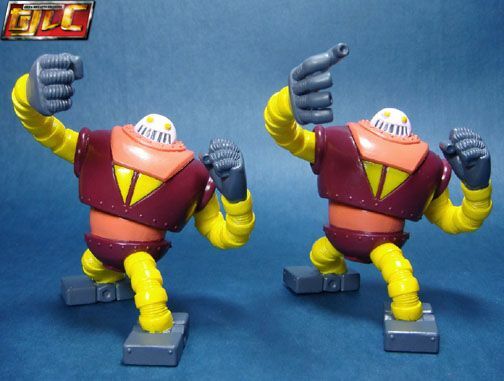 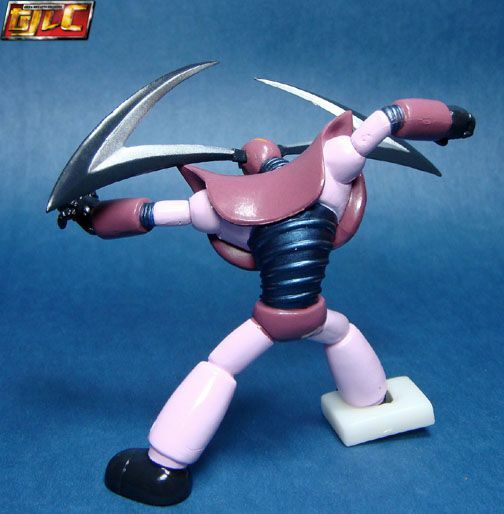 Heh, guess Bandai must be cutting corners on costs nowadays.